Can Easter chocolate be healthy? The tradition of giving chocolate eggs at Easter stems back to the 19th Century in France and Germany. The chocolate eggs were bitter and hard. In time, sweeteners and improved techniques lead to the types of Easter eggs we see today. Unfortunately, in an age where at times bigger is seen as ‘better,’ we often find ourselves and our children inundated with store-bought chocolate that is high in refined sugar and low in cacao, the raw and natural ingredient used traditionally to create chocolate. 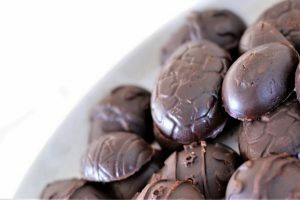 What should we look for when buying Easter chocolate for our families? The antioxidant potential of chocolate may have a range of health benefits. The higher the cacao or cocoa content, as in dark chocolate, the more benefits there are. There is some research to suggest that potential health benefits of cacao/cocoa include lowered cholesterol levels, prevention of cognitive decline and reduced risk of cardiovascular problems. Raw cacao is made by cold pressing unroasted cacao beans, which preserves both the living enzymes, the vitamin, mineral and antioxidant content. Cocoa is raw cacao that has been roasted at very high temperatures which reduces the antioxidants, enzymes and other nutrients. During the pressing process, the fat (butter) is removed. The percentage of cacao, cocoa or dark chocolate on the packaging of store-bought chocolate tells you how much combined powder and butter are present. Generally, chocolate purchased at the supermarket will contain cocoa rather than cacao. While it comes down to personal preference, if you prefer the extra health benefits, cacao or high percentage cocoa is the way to go. Store-bought dark chocolate may contain less refined sugar, but it is important to check the label as some brands will add extra sugar to counter the bitter taste associated with high amounts of cacao/cocoa. There is a common misconception that chocolate contains caffeine, likely based on the confusion between the similar alkaloids: caffeine and theobromine. The two stimulants are related and have similar structures, but possess different properties and effects. Theobromine is mild, has a slow onset, is long-lasting and non-addictive whereas caffeine is intense, fast acting, short-lived and addictive. Theobromine content is higher in raw cacao as opposed to processed varieties of chocolate, however, pregnant and nursing mothers and children can all enjoy it in moderation. If you’re struggling to find Easter eggs that meet these suggestions then another option is to try making your own healthy homemade Easter eggs. 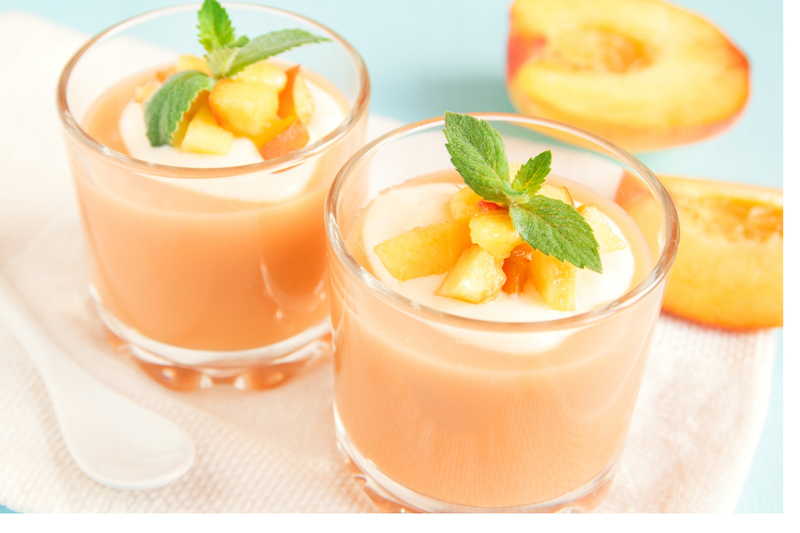 The recipe below is a great option with variations to suit every taste. 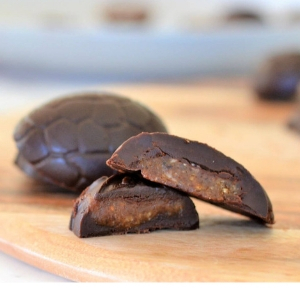 Healthy Homemade Easter Eggs – Dairy, nut and refined sugar free. These creamy, homemade Easter eggs use just 3 ingredients; coconut oil, cacao and brown rice syrup, making them dairy, nut and refined sugar free! They are quick and easy to make- simply melt, pour into Easter egg moulds and set. You can use any chocolate moulds for this chocolate. Slightly bigger moulds will allow you to fit and enclose the filling easily. 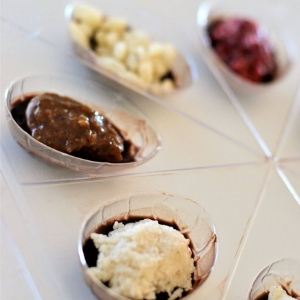 You can make plain chocolate, or fill them with one of the healthy fillings- strawberry cream, rice crisp, salted caramel or creamy coconut. Or you could even add your own twist- peppermint oil, shredded coconut, dried fruit, or toasted hazelnuts. The chocolate is best stored in the fridge or freezer until required as the coconut oil becomes soft at room temperature. Special thanks to Andrea from The Cooking Collective for sharing these images and recipe link, to grab a copy of the recipe CLICK HERE. 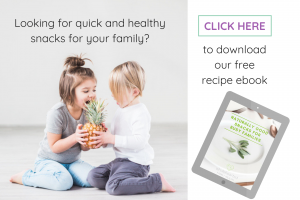 The Cooking Collective offers inspiration and recipes to help busy families with quick and easy weeknight dinners, healthy lunchbox inspiration, cooking with kids, healthy party ideas, decadent desserts and more. 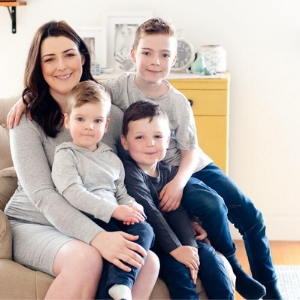 Andrea is a mum to four kids and a passionate home cook who loves to bring people together with food.